Yes, advancement in technology is quite interesting and has added a lot more convenience to our lives. From desktop computers to portable ones, and now the small computers we take around with us in our pockets, technology has provided us with a wide range of ways to swiftly reach out with anyone on the globe. Likewise, there are now several ways to kill time while waiting in line with innovative gadgets and apps. With these, there is are still a considerable amount of flaws associated with technology. This imperfection means there may be some difficult things for no particular reason at all; they just had to happen. One of these happenings is your iPhone suddenly losing all your music files. 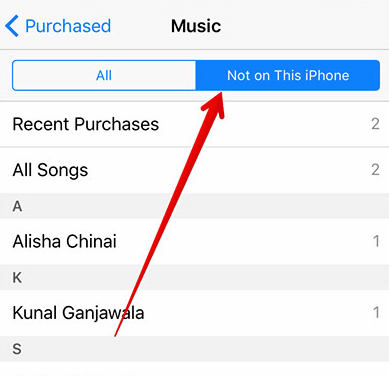 If you have experienced music gone from iPhone, then you are not alone. Many iPhone users have complained about the disappearance of their music files from their phone without doing any deliberate modifications or updates. In this piece, we will discuss this unusual happening and how to get around it. There are more than one approaches to getting this problem reversed or solved. Each of these fixes, however, arrives at the same conclusion - bringing back your lost music files. iMyFone TunesMate is designed to help in the effective management of your iPhone data. 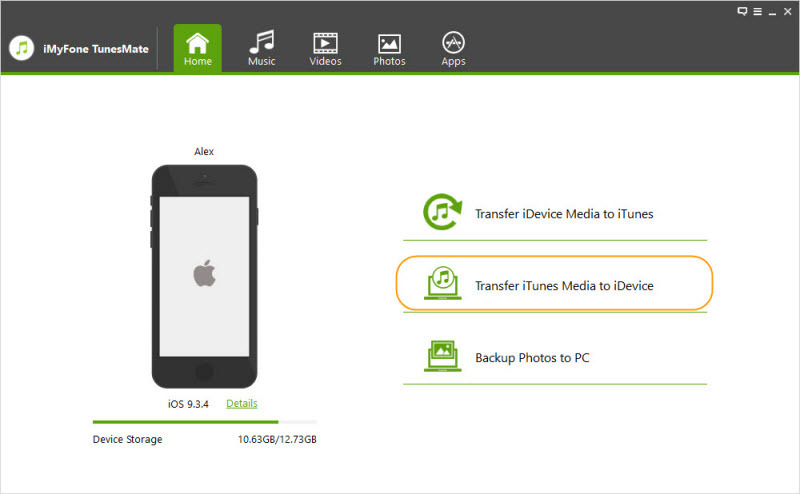 This software can facilitate the transfer of data from your iPhone to iTunes or PC. Likewise, you can seamlessly manage your data by carrying out such actions as exporting, adding, deleting, etc. When your music files disappear, you can use the iMyFone TunesMate to locate them on your iTunes (on PC) and send them back to your iPhone. It is as simple as that. 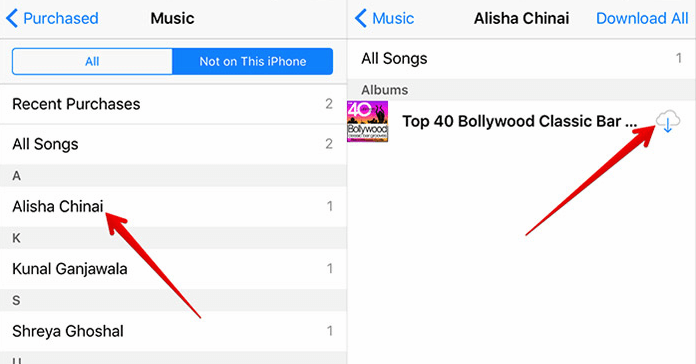 No Data Loss: Transfer music from iTunes to unlimited iPhones without damaging the existing songs. Two-Way Transfer: Freely transfer songs between iPhone and computer without iTunes limits. Manage iTunes Library: Rebuild your iTunes library from unlimited iDevices, even in different Apple IDs. 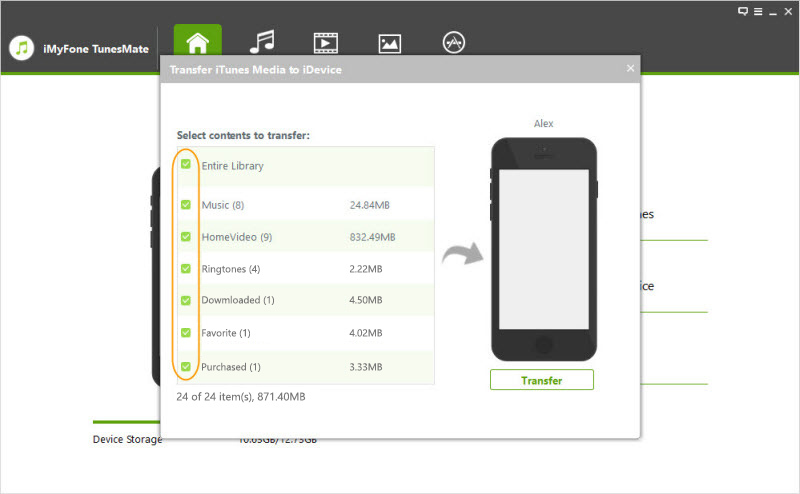 Transfer Directly: Directly move music to iPhone from computer; music will be automatically converted if it's not compatible. Step 1. Download and install TunesMate, then connect your iPhone to computer and launch the TunesMate application. Step 2. 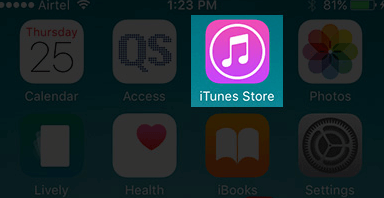 Click “Transfer iTunes Media to iDevice”. Step 3. Select what kind of media you want to transfer (music, in this case), and click “Transfer”. After it is done, click “OK”. Step 1. Make sure your iPhone is well connected to iTunes. Step 2. From the iTunes interface, select your device. Step 3. Click "Music" in the left sidebar. Step 4. 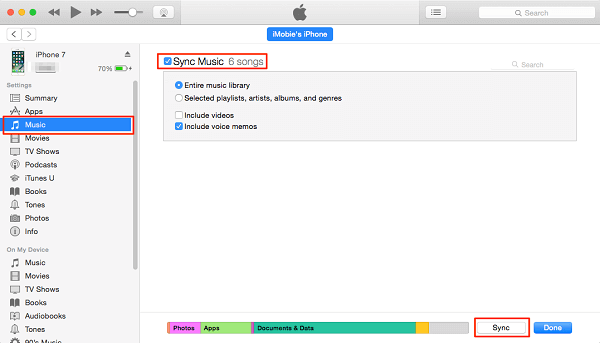 Click the checkbox next to “Sync Music” and then click “Sync” to transfer music from iTunes to your iPhone. For iDevice users who are interested in exploring other options apart from iTunes and iMyFone TunesMate, they can go with a manual restore from the iCloud music library. Step 1. Firstly, open the iTunes Store app. Step 2. Tap on “Purchased” tab on the bottom of the screen. If prompted, you might have to enter your Apple ID and password. Step 3. Now tap on the “Not on This iPhone” tab. A list of all the music that you have purchased but is currently unavailable on your present device will be displayed. Step 4. 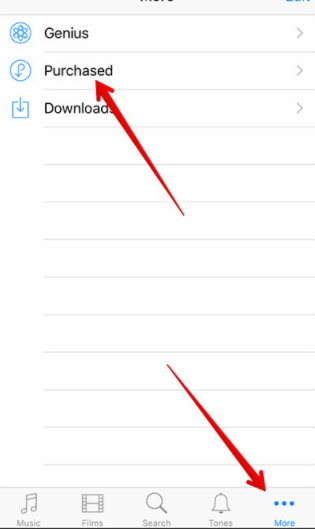 Now select the music that you want to restore and then tap on the cloud icon with a download arrow on it. You can download multiple songs at the same time. No one can categorically identify the reasons behind this obnoxious malfunctioning of the iPhone iOS system; however, with the methods discussed in this piece, you can save yourself a lot of research time and efforts to fix music gone from iPhone issue by just going with the option that suits you best.